Current research suggests that nutrients are more than just food components and that certain nutrients can impact the expression of genes that lead to the development of chronic diseases. With contributions from experts in both fields, Nutrients and Epigenetics examines the epigenetic phenomena and the fascinating implications of diet on this largely uncharted field. 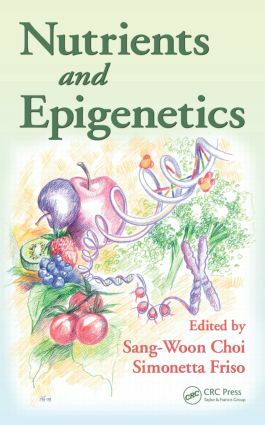 Generously laden with tables and illustrations, many in color, this book addresses how nutrients alter physiologic and pathologic processes in the human body through epigenetic changes without affecting the DNA sequence. It also explains the detailed molecular structures of epigenetic phenomena and closely examines the current knowledge surrounding the biology of aging and embryonic growth regulation. In one single compendium, this resource delineates the nutritional factors that further much-studied aberrant epigenetic patterns, such as DNA methylation, histone modifications, and chromatin remodeling. The book spotlights the influence of nutrition on epigenetic gene regulation, opening the way for counteracting future disease processes associated with epigenetic phenomena—a step that could potentially change the face of disease prevention and development. Overall, the volume does an important service by unraveling, in a systematic way, the importance of nutrition and specific nutrients in the regulation of epigenetic processes. …What is our responsibility as parents in establishing the health of our children even during pregnancy? How can children's diets today influence them, and also their children, over many years from now? The answers to these questions, and also many others, may well lie between the covers of this book.